Call us optimists, but the arrival of October hasn’t halted our thoughts of Mediterranean sun. 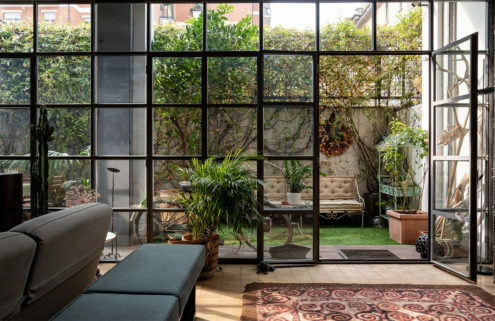 Right now in parts of Italy, temperatures are still loitering near the 20s, so we’ve collated a few of our favourite Italian rental spaces – perfect for a last minute getaway or to get you organised for next summer’s holidays. 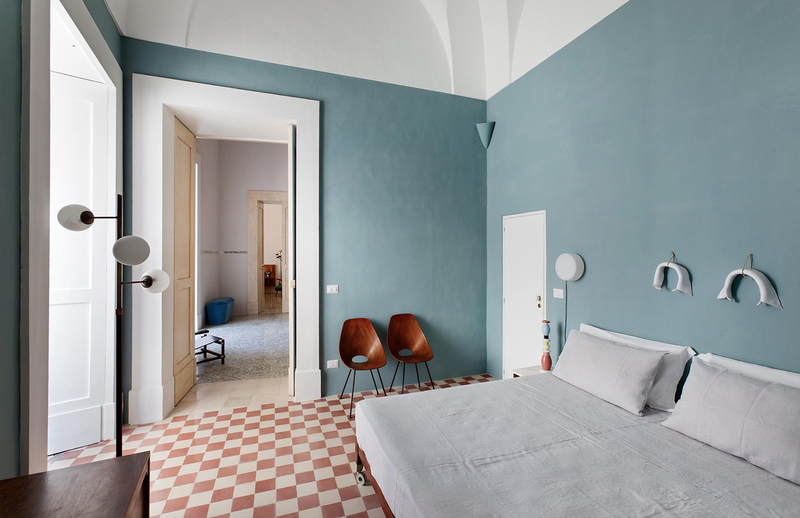 An 18th-century palazzo has been reborn as an arts space in the Salento town of Galatina – and you can stay in it via Airbnb. Original features abound, including marble floors, tiling and doors, while the interior decoration has been curated by owners and art enthusiasts Christian Pizzinini and Antonio Lodovico Scolari. Guests can enjoy the rooftop hot tub and sun terrace as well as artworks by Eduard Habicher and mid-century furniture by Gio Ponti and Franco Albini, all of which are for sale. 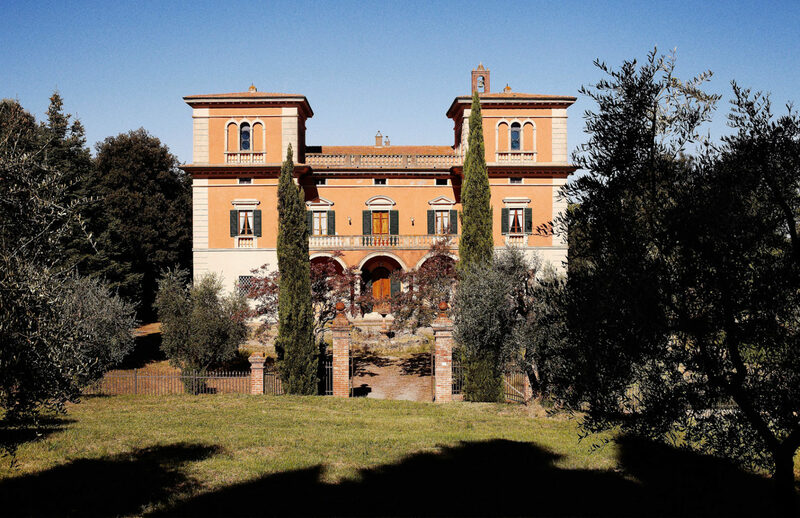 Villa Lena is a rural retreat that turns the traditional hotel on its head. 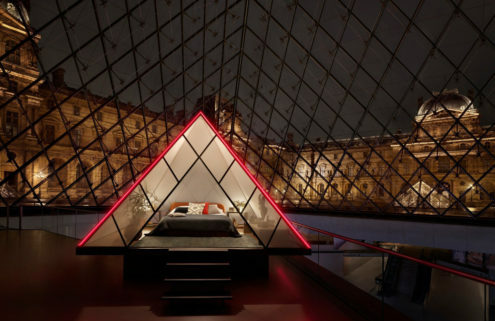 A number of self-contained apartments are dotted around the 500-acre site, including several within a crumbling Neo-renaissance mansion, furnished with vintage pieces curated by Parisian interior designer Clarisse Demory. Tuscan cuisine is created by an ever-growing roster of international chefs while the wine comes from vineyards in the grounds. 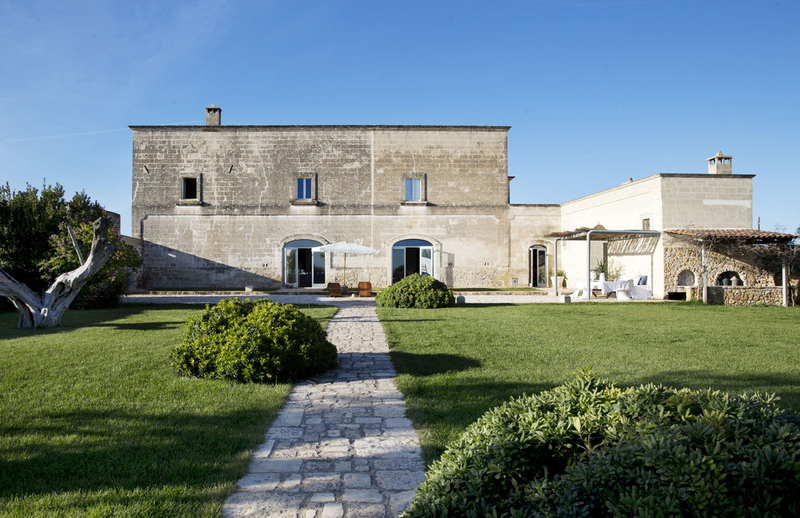 This 18th-century farmhouse sits between Taranto and Brindisi surrounded by 85 acres of vineyards and olive groves. 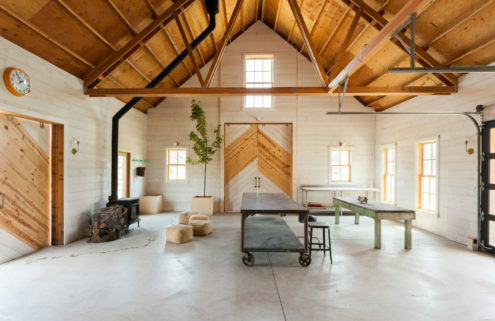 The interior offers elegant vaulted ceilings and stone floors, but it’s outside where the property really comes to life. Guests can either stay by the pool or wander through the surrounding orchards which offer up harvests of almonds, apricots, pears and figs. If you fancy sleeping in rooms painted with wall and ceiling frescos that date back 400 years, look no further. 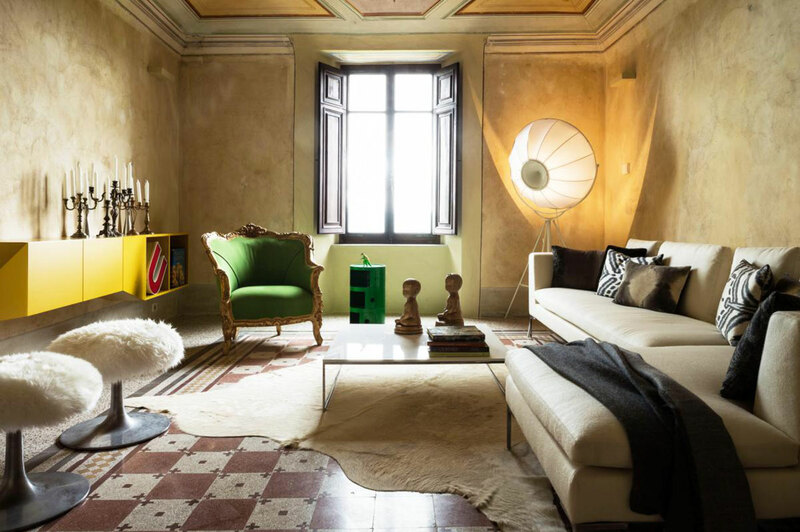 Interior designer Patrizio Fradiani and his partner Mark have turned the first floor of a 13th-century palazzo into the perfect Italian bolthole filled with historical details and modern amenities. Situated in the medieval hilltop town of Monteleone D’Orvieto, just two hours from Rome, the apartment sleeps 8 and has a well stocked cellar, an indoor pool and stunning views of the surrounding Umbrian countryside. 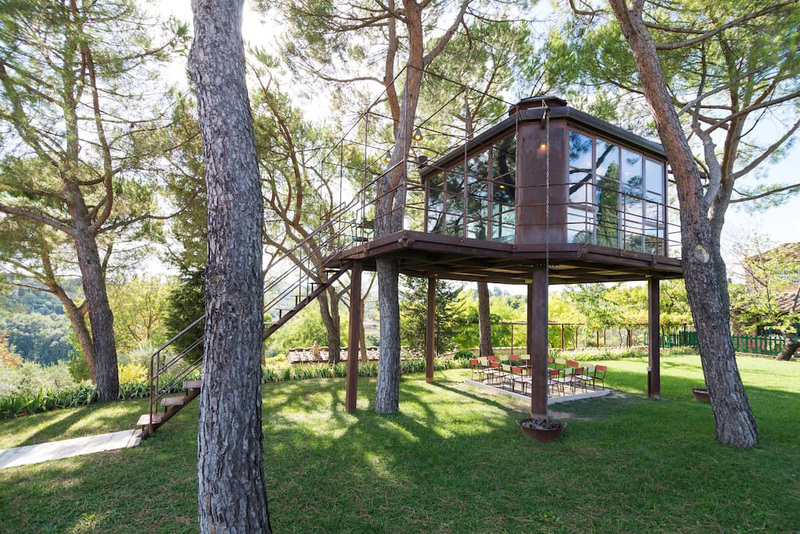 Casa Barthel is a treehouse on stilts designed by architect Elena Barthel – a professor at Rural Studio, an arm of Auburn University’s design and build programme. 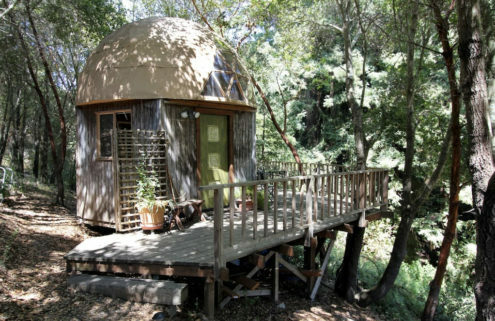 The structure forms part of a little community where Barthel’s family have resided since 1980. This contemporary addition comes with views of the surrounding Tuscan hills as well as the nearby Duomo di Firenze.